The hearing had been scheduled for Tuesday, but now could be delayed 60 days. UPMC wants to build a 300,000-square-foot hospital on an 80-acre tract off Route 51, but the borough’s land use ordinance does not include a provision for a hospital. Such zoning omissions rarely have withstood legal challenge. 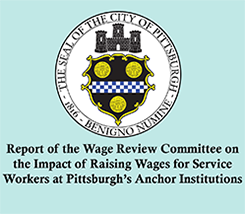 Taking square aim at Pittsburgh’s large healthcare and education nonprofits, City Councilman Ricky Burgess drew comparisons to plantations, sharecroppers and “slave wages” Tuesday when he delivered the report of his Wage Review Committee to his colleagues. The tallest building in Pittsburgh owes its title to the industrial giant that made the city famous. But instead of its floundering namesake, the U.S. Steel Tower now displays the initials of a different sort of employer: the University of Pittsburgh Medical Center, or UPMC. All across the country, so many people are stepping up and speaking out. One of the people who came to the White House to join the conversation was Lou Berry. Lou is a housekeeper at UPMC Montefiore in Pittsburgh. When I met him at the White House, he told me that he was there to stand up for his family and coworkers and to ask for better wages and a union. 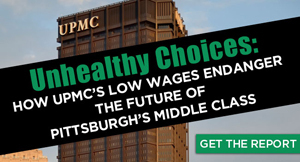 Pittsburgh hospital workers from both major hospitals systems tell the Post-Gazette why they have joined together for access to care for every patient, adequate staffing in every hospital and good jobs in our city’s largest industry. “With our vote, we have taken a big step forward in health care. We want to build good communities and support a quality, fair health system that works for all of us,” said Darlene Nicholson, a laboratory processor at AGH. OxyCide is supposed to make hospitals cleaner and safer for patients, but what about the staff that has to use it?